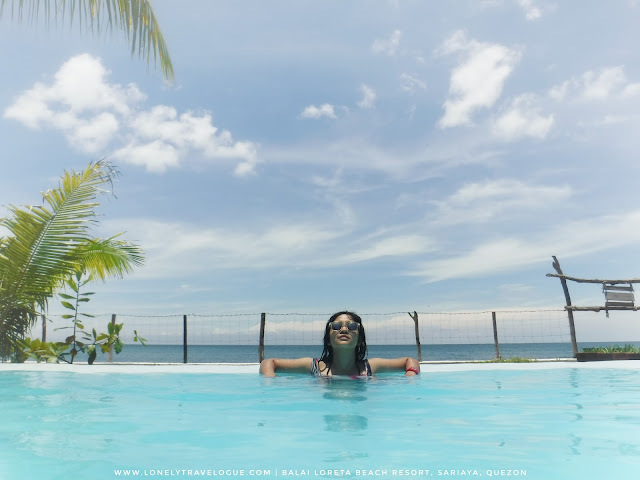 Sariaya is known for it's art deco houses and the yummy "pinagong" bread. Little did I know that this town at the foot of Mt. 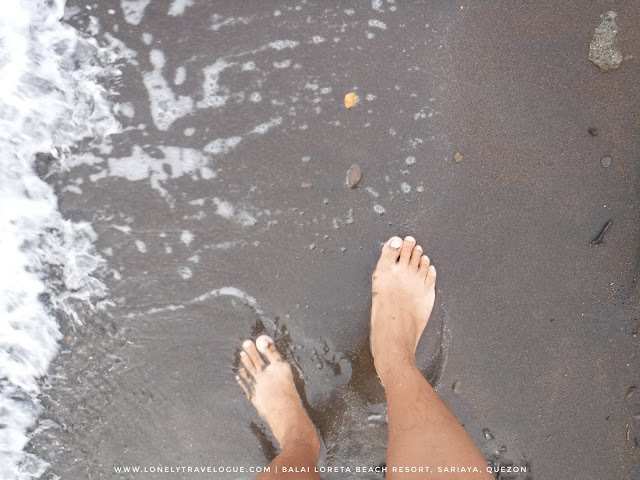 Banahaw and laying in a fine brown sand beach has something to offer for those who seek peace in a very unassuming place. 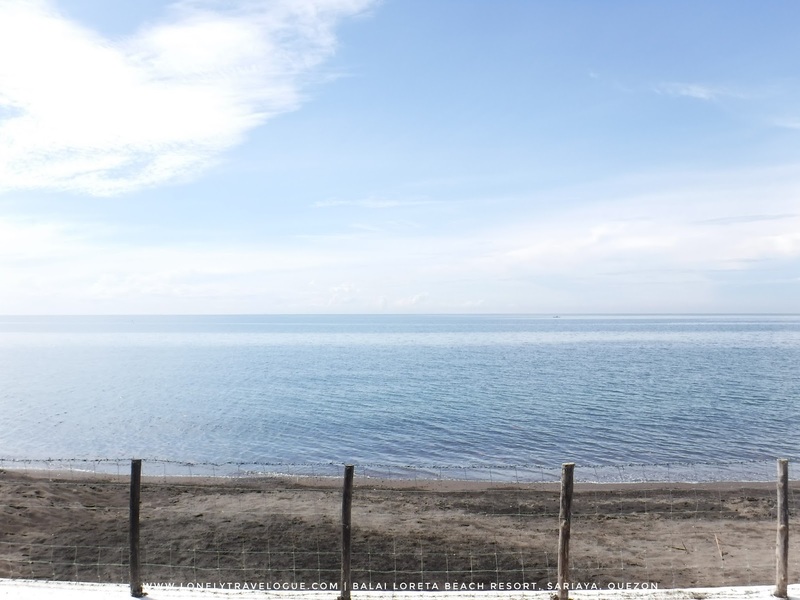 You'll never know this place as this place is built as a rest house in front of a beach. 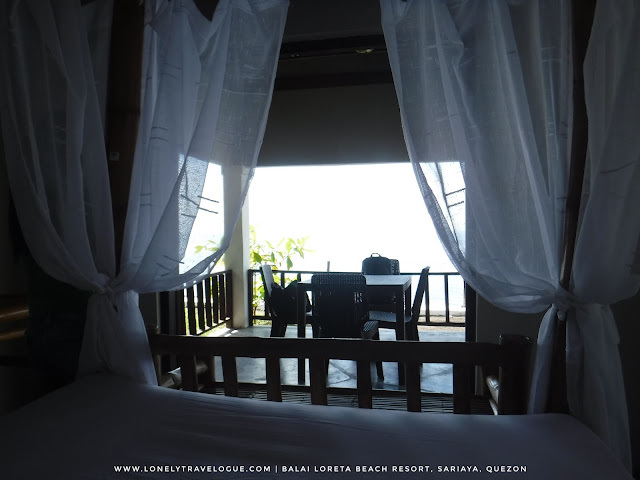 A rest house, I mean rest house for all - that is Balai Loreta Beach Resort. 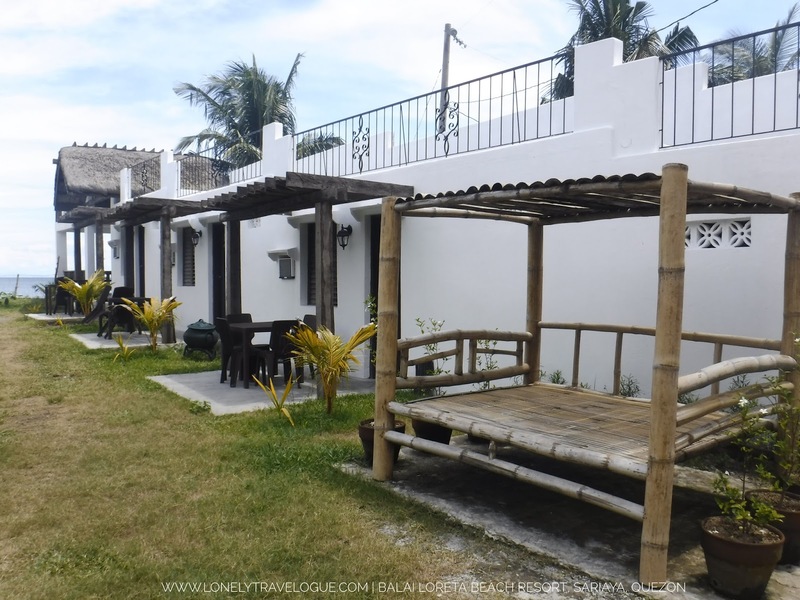 I never thought that Sariaya will offer a rustic accomodation that will perfectly sets the mood of your vacation. Sariaya for me is an old town which I always pass by whenever I go to Lucena. I would often stay awake when the bus passes San Pablo, Laguna because of the relaxing scenery of the green foliage of Southern Tagalog. Sariaya will stick my face at the bus window while I adore its century old houses as well as its old church. But to tell you honestly, I never went down the bus to have a sweet walk along the heritage houses. 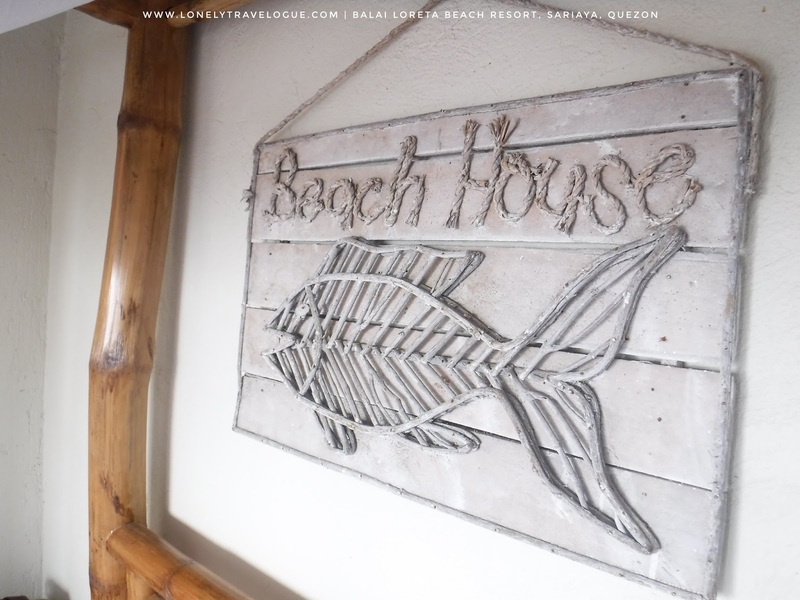 30 minutes away from the heritage town of Sariaya is a rustic beach resort build out of hard work and love. 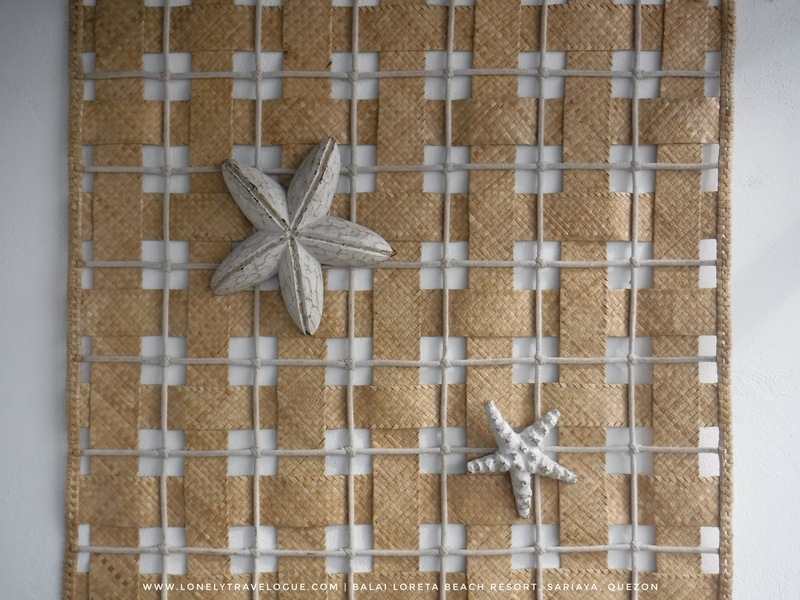 The resort doesnt offer the best of the world but it offers what the world can't offer. That is peace, true vacation and experience. 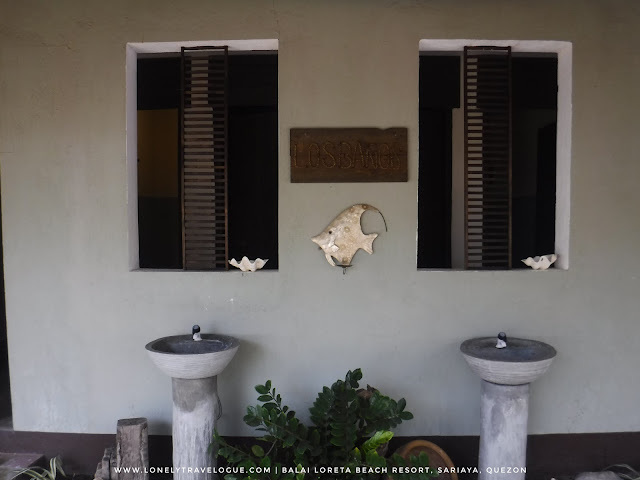 Balai Loreta Beach Resort was named after the mother of Arch. Angeli who is the owner of the resort. The whole resort is a tribute to his family, who like many families, are busy with their own living and families too. Some are already living and working abroad. Regular family reunions becomes a major event when we start to have our own family. There were times that its very hard for us to pick up a schedule and place to meet because of our own individual keep and proximity to each other. With this in mind Arch. Angeli thought, why not put all my silblings, pamangkins and bother-in-laws in one place? Each rooms in Balai Loreta is named after his sister, niece and brother-in-law. The common area which serves as the dining and function hall is named after his father. All of them in one place united by Loreta his mother - that is Balai Loreta. 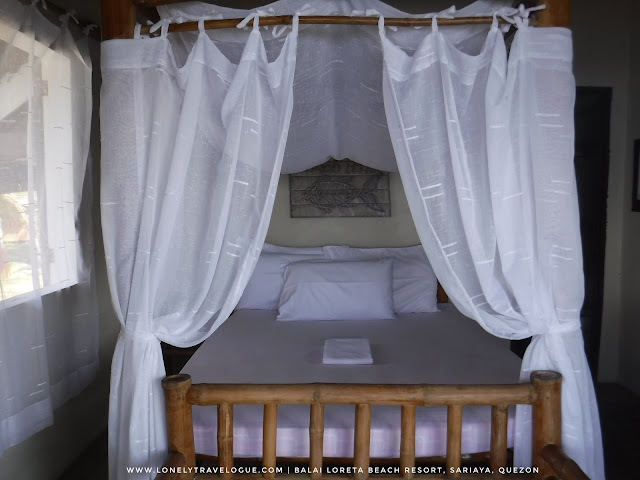 In each rooms and function hall of Balai Loreta are made of local materials such as bamboo, hardwood, anahaw and the like making a rustic ambiance for each guest. The rooms lack the sophiscation of a hotel because it is not a hotel. It is a rest house with a very geniun hospitality and spirit. The white linens and the white curtains around the bamboo bed will make you stay in your bed while looking at the sea. The rooms does not have television and wifi. It doesnt have radio. It has the sea to relax your eyes while the waves seranading you within. 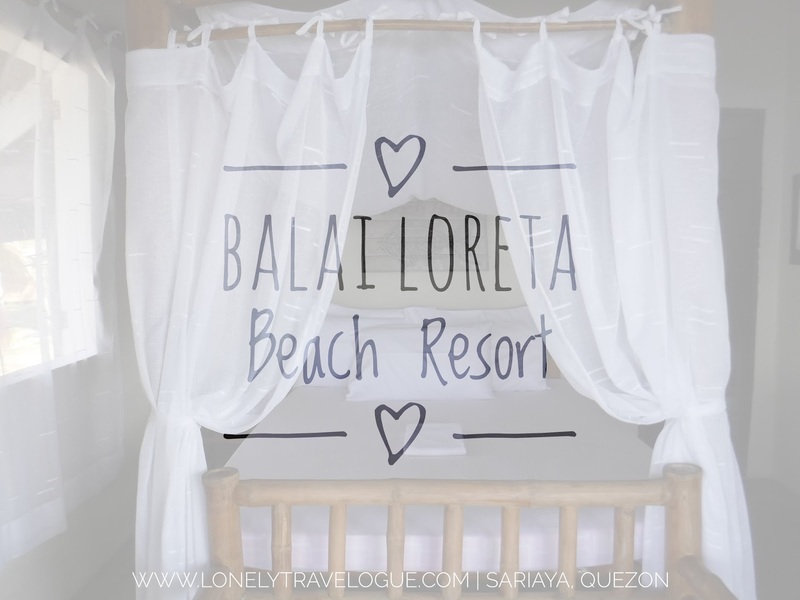 Each room in Balai Loreta Beach Resort has a bathroom. Towels can be requested free of charge. Rooms in Balai Loreta ranges from Php1,000 to Php3,500 depending on the season. While you want to stay in your comfy rustic room, you wouldnt want to miss the equally relaxing ambiance of the resort. It has a four feet and two feet infinity pools. The pool is surrounded by a nice foliage of grass and trees and ofcourse the sea. 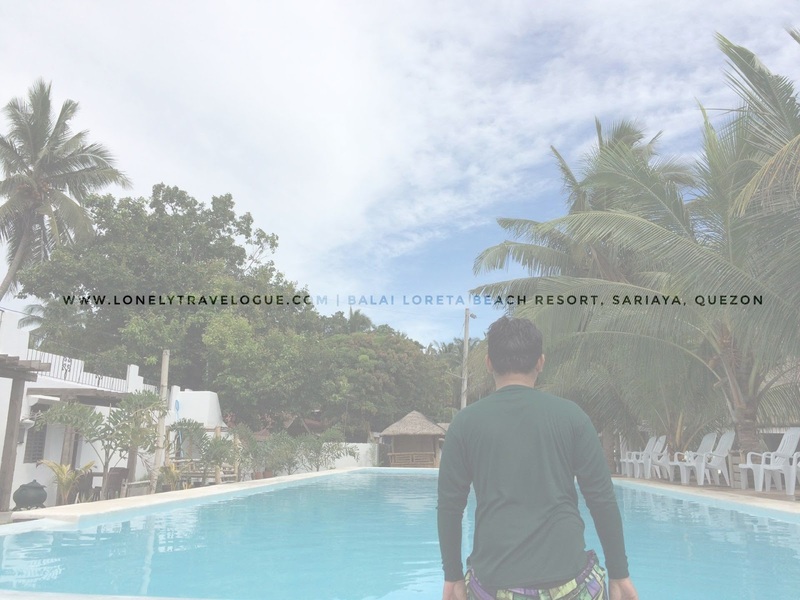 Each spot in Balai Loreta Beach Resort is picturesque or in today's term very instagramable. It has to be with art and style. Arch. 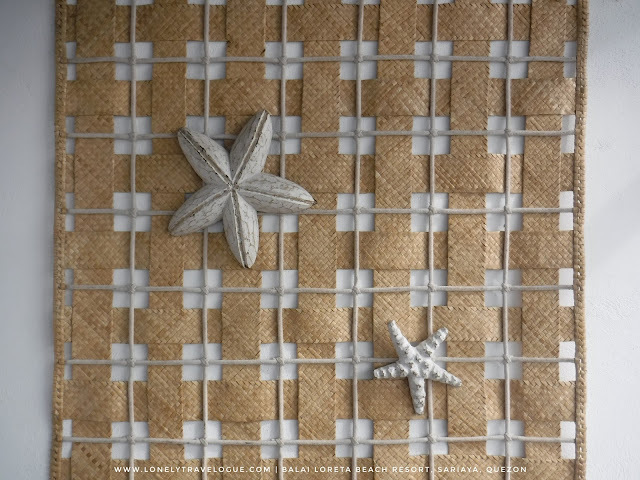 Angeli made sure that your vacation is worth telling and repeating. The resort does not yet offer food. You can bring your own food and cook it there without paying any corkage. You can also ask one of the staff to cook for you with what ever is available at the nearby talipapa. The resort won't charge you for the cooking fee but I'm sure you will want to bless the staff out of your abundance. There was one family who wanted to eat fish with hot soup. They asked Angeli if they can prepare it. It seems imposible to have any kind of fish because it was already 7PM, I guess. But Angeli together with his staff was determined to provide the guest what they want. His staff was able to get milk fish. Angeli said to the guest to just pay for the fish. He did not mind about the LPG, the ingredients and the labor. For him providing the needs of his guest are far more important. In his words "Kinikilig ako pag dito nila napiling magbakasyon"
Why I am saying this? 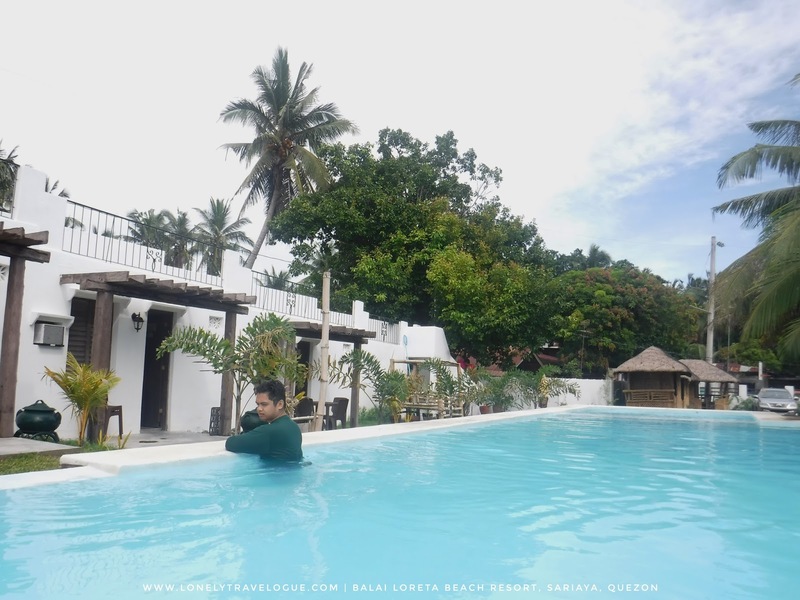 The circumtances above might not happen to you exactly when you visit Balai Loreta Beach Resort because the staff could be so busy when you are there. I just want to illustrate how generous they are. Yours might come in form of other things. Balai Loreta Beach Resort is far from Manila. But if you are looking for a place that can provide the true meaning of vacation, try Balai Loreta Beach Resort.